This Thursday is World Oceans Day and so critical are the issues facing our oceans – including climate change and plastic pollution – that the United Nations has convened a high-level conference on their future. While its focus is ocean conservation, another aspect of our seas has been conspicuously neglected: the vast array of human history lying underwater. 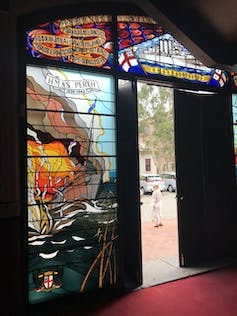 HMAS Perth memorialised at Sydney’s Garden Island Naval Chapel. Millions of shipwrecks and archaeological sites lie under the ocean, including most infamously the Titanic, resting almost four kilometres below the North Atlantic. These relics are just as important as terrestrial sites such as the Egyptian pyramids or the temples of Angkor, and preserve a history of our relationship to the seas. Just like marine ecosystems, this underwater cultural heritage is threatened by climate change, pollution, development, fishing and looting. Indeed just this week, Australian and Indonesian maritime archaeologists reported that HMAS Perth, a World War II wreck lying in the Sunda Strait and the final resting place for hundreds of men, has suffered extensive and recent damage. There is now less than half of the ship left. Humanity’s close relationship with the ocean stretches back thousands of years. Our oceans have provided food, connected civilisations, facilitated trade, travel and conquest, and also served as a sacred place of veneration. It’s estimated that three million ancient shipwrecks and sunken cities lie on the ocean floor. These include a 9th century shipwreck discovered off Indonesia’s Belitung island in 1998. 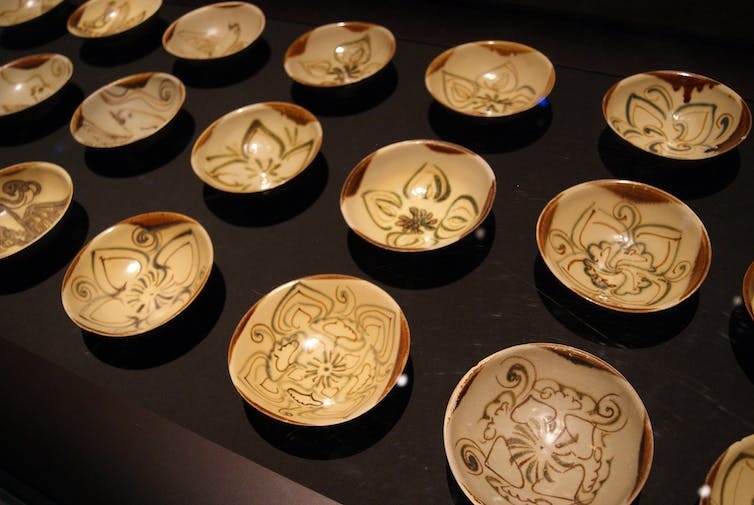 The ship originated in the Middle East, and its cargo was dominated by commercial quantities of Chinese ceramics. It represents some of the earliest evidence of maritime trade between Southeast Asia, the Chinese Tang dynasty and the Middle Eastern Abbasid Empire. Nor are these vestiges of the past restricted to shipwrecks. Archaeologists have discovered evidence of sunken civilisations, buried under silt and sand for centuries. In Egypt, relics of the ancient city of Alexandria include temples, palaces, and the 130-metre Pharos Lighthouse, one of the Seven Wonders of the ancient world. Egyptian authorities now plan to construct an underwater museum to share these discoveries with a broader audience. Sometimes, the smallest of objects discovered underwater can reveal as much as an entire city. 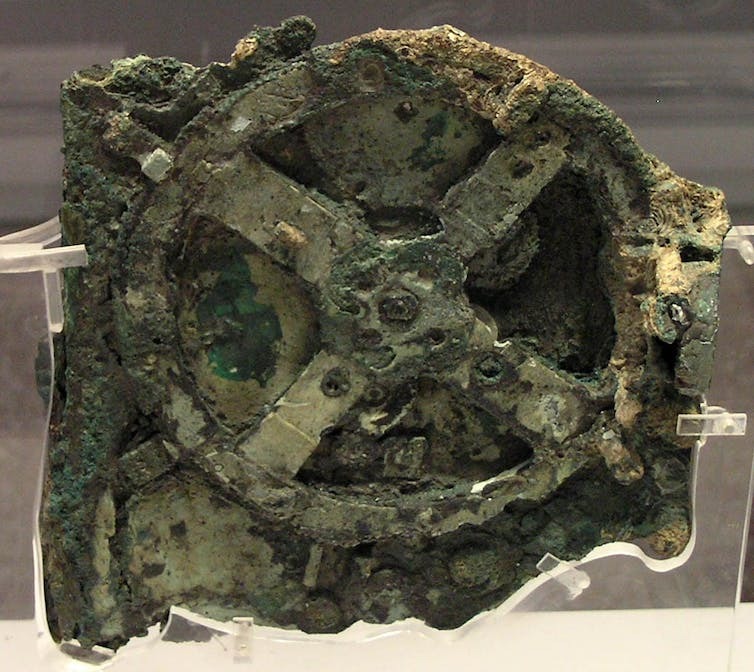 Lost for centuries in waters off Crete, the 2000-year old Antikythera mechanism is known as the world’s first computer for its use of gears and dials to predict eclipses and track moon phases. The same site has also yielded human bones, from which scientists hope to be able to extract genetic information for insights into ancient shipwreck victims. The Antikythera mechanism, the world’s first computer, found in waters off Crete. Mother-of-pearl inlays – gathered by early breath hold divers and fashioned by artisans – found at a Mesopotamian site indicate that humans have been responding creatively to the ocean’s resources as far back as 4,500 BCE. Underwater heritage is the legacy of these past activities, bearing witness to the development of both ancient and modern civilisations. But the significance of ocean artefacts extends beyond trade, travel and recreation. For example, the study of this heritage can show us the impact of rising sea levels on human life. Such information serves as a sobering reminder of the effects of climate change, and can also help us to develop solutions to the present environmental problems we are facing. For 90% of human existence, sea levels have been lower than they are at present. As humans mainly lived close to the water, a large majority of humanity’s development took place on areas that are now submerged. It is only within the past decade that there has been recognition of how important the missing data on the submerged shelf is. Underwater cultural heritage can also help to assess the impact of the ocean on human life, and assist in monitoring issues such as potential ocean pollution from oil and the threat of unexploded ammunition from WWII shipwrecks. Guérin argues that protecting and researching this heritage can lead to better conservation of coastal and marine areas, with increased economic benefits for small island developing states and least developed countries through tourism. Like fish stocks and coral reefs, underwater cultural heritage faces destruction from climate change, marine pollution and over-development. Industrial activities like fishing are becoming a greater concern. Commercial deep-sea fishing trawlers destroy not only fishing stocks but also well-preserved wrecks. These bottom trawl nets act like ploughs, digging up the ocean bed and tearing archaeological sites apart. In the Baltic Sea, thousands of synthetic fishing nets are lost every year. These “ghost nets” get tangled in wrecks, trapping fish and seals in the process. In Southeast Asia, historic shipwrecks in both Malaysia and Thailand face destruction from “massive trawl nets that scour every metre of the seabed”. Just as fishing stocks are targeted by illegal poachers, so too is underwater heritage threatened by illegal salvaging and looting. The recent unauthorized disturbance of three near-pristine Japanese shipwrecks in Malaysian waters has destroyed the thriving marine ecosystems that such wrecks support. The damage caused to these underwater museums has had a devastating impact on local diving companies and small-scale fishermen. In Indonesia, these illicit activities appear to be becoming increasingly sophisticated and audacious, including the most recent damage to HMAS Perth. A thriving marine ecosystem in North Sulawesi, Indonesia. 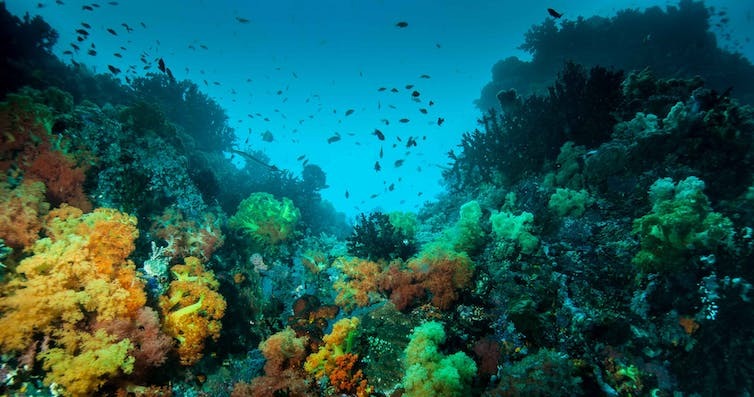 Shipwrecks can provide a support for these ecosystems. Despite its importance, underwater cultural heritage remains a relatively new concept, and tends to be overshadowed by other legal and policy priorities. At this week’s UN oceans conference in New York, plenary meetings are focusing on reducing marine pollution, protecting marine and coastal ecosystems, and addressing ocean acidification. Underwater cultural heritage, meanwhile, was discussed in a side event held in the margins. 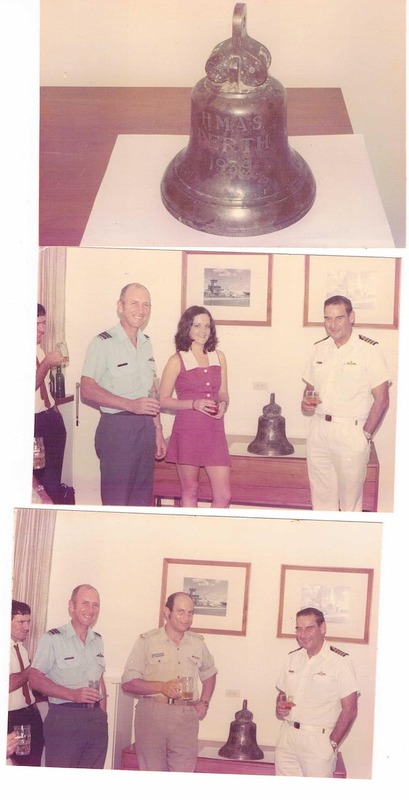 The bell of HMAS Perth is returned to the Australian Embassy in Jakarta, in the mid-1970s. The 2001 underwater heritage convention establishes basic principles for protecting these sites, but faces a number of challenges. Only 56 nations have signed or ratified the convention, and big maritime nations such as the US, China, and the UK have not. Australia has not ratified, but introduced new underwater cultural heritage legislation in November 2016 that brings this step closer. The heritage convention also faces the problem of perceived competition with the Law of the Sea, which sets the rules for how the oceans are shared and governed. And what of HMAS Perth? In a strange twist of history, in the 1970s the Australian Embassy in Jakarta became aware that the bell of the ship had turned up in an Indonesian salvage yard. 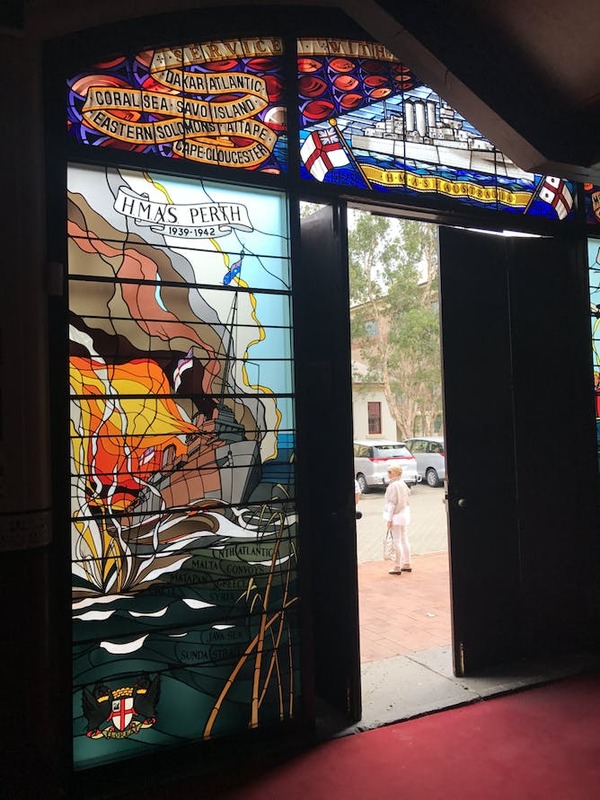 The embassy successfully negotiated the bell’s exchange, and it is now held in the Australian War Memorial: a small piece of history saved through cultural diplomacy. Underwater cultural heritage is an essential part of our oceans and the way we relate to them. As important as it is to ensure a sustainable future for our oceans, it is also vital that we understand humanity’s historical relationship with them. Our future is invested in our oceans, and so is our past.